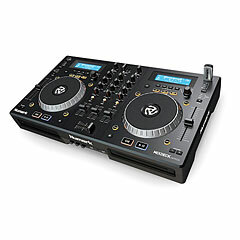 CD players for DJ use are distinguished primarily by the fact that the CD players are pitchable ie. 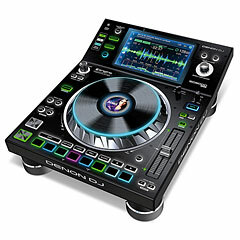 the speed at which a track is played, can be adjusted continuously. 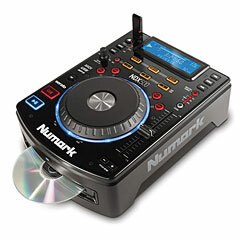 Single CD Player: These players play one CD and are usually designed as a desktop model, which allows you to put the CD player next to the Mixer similarly to a Turntable and reach the controls from above. 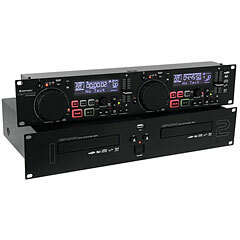 For this type of mixing two single CD players are required. 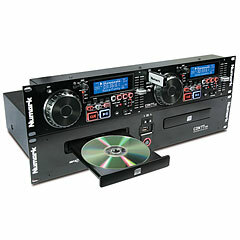 Double CD player with a Double CD player two compact discs can be simultaneously loaded and played. 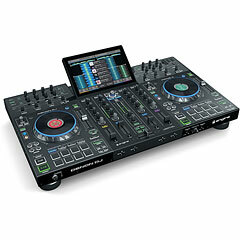 This means you are only mixing with one device which is connected with 2 inputs to the mixer. 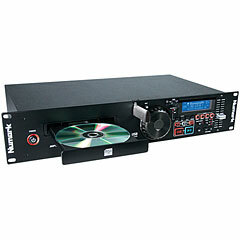 A double CD player is usually constructed as a 19" device and worked from the front. 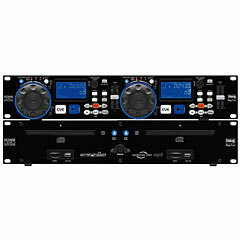 Media Player In addition to playing commercial audio CDs modern DJ players can often play other formats such as MP3, WAV, AIFF etc. 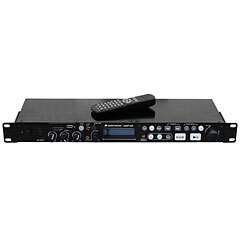 The audio files can sometimes be read from different sources: Audio CD, CD-R, CD-RW, DVD, USB etc.